The Collingwood Arboretum is a beautiful park with both paved and natural trails for hiking and biking. It can be used for special occasions and celebrations. 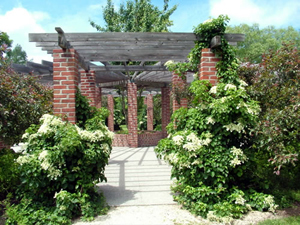 It is a Botanical Park complete with historical records. 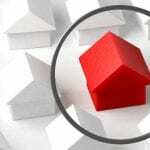 The entrances are located off First Street on Hickory Street or Cedar Street at Harbourview Park. 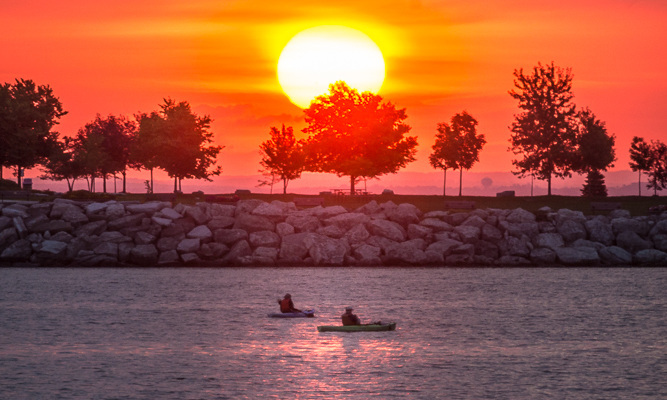 Sunset Point is a waterfront park set on over 30 acres encompassing waterfront rocky beach, treed and sheltered picnic areas, event space and Enviro Park Playground. The waterfront trail provides a rest stop, canteen area and washroom facilities. 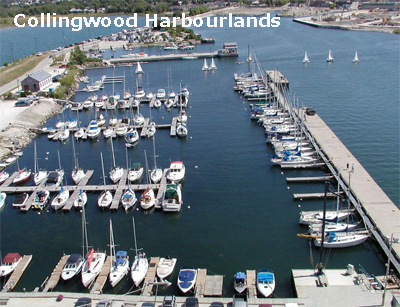 Harbourlands Park was created in 2000 and is located on the town side of Collingwood’s iconic white grain elevators. Trails, gardens and a memorial walkway with plaques commemorate the history of the Collingwood Shipyards. Millennium Park is located at the end of the “spit” area and provides breathtaking views of Nottawasaga Bay, Collingwood Harbour and mountains. 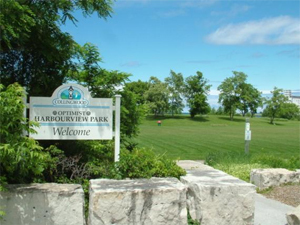 Collingwood’s Harbourview Park is located on 42 acres adjacent to First Street from Hickory to Oak Street. 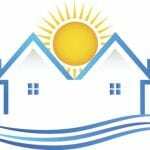 There are walkways and soccer fields as well as treed picnic area and boat ramps for small boats. The boardwalk trail takes you through the park’s tranquil wetlands. Views of the Collingwood Terminals are visible along the Georgian Trail. Central Park is a community park with baseball diamonds, hockey & skating rinks, and curling. Old Village Legion is community park with soccer fields and ball diamonds located beside the Collingwood Legion. Heritage Park is a complex with ball diamond, skateboard and BMX Park, and Centennial pool. 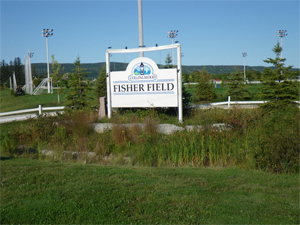 Fisher Field is a community park with soccer fields at 6th Street and 10th Line. 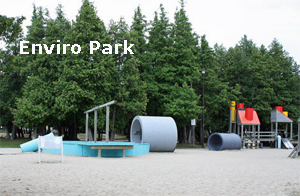 Local neighbourhood parks are located throughout the town and are marked on the Interactive Park Map including Bell Blvd., Cedar Park, Georgian Meadows, Kinsmen Park, Mair Mills Park, Morbay Park, Princeton Shores, Walnut Park, J.J. Cooper Park (Creekside), Nip Spooner Park. 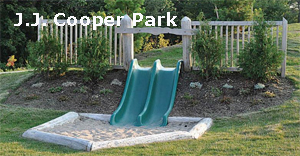 Collingwood’s Dog Park is located on Poplar Sideroad near Hwy 124. 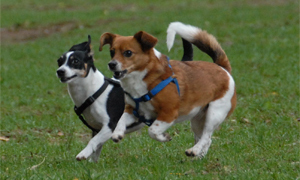 Dogs can run off-leash and interact. Dog Town opened May 30th 2009 and has been very successful. A small parking area is available at the adjacent water pumping station. Access to Bayview Park is via Hwy. #26 east of Thornbury, to Elgin Street, to Bay Street. There is a playground, beach and picnic shelter.